Montana at Washington State, 7 p.m. Winner plays (1) Georgetown-Central Connecticut State winner in second round. 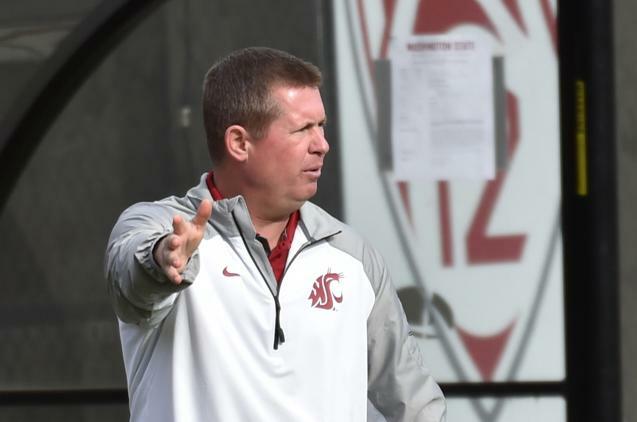 “It’s a big day for Washington State athletics and the soccer program,” coach Todd Shulenberger said Monday afternoon following the NCAA selection show. After winning their first 10 and reaching a program-high No. 7 ranking on Oct. 1, the Cougars lost several players to injury along with five straight matches. However, WSU regrouped with a 1-0 win over then-No. 8 UCLA and a 1-1 draw against top-ranked Stanford. The Cougars all but sealed their at-large berth with a 3-1 win over Washington to finish 5-5-1 in the Pac-12 and 12-5-1 overall. Other Pac-12 teams in the tournament are Stanford, USC, UCLA and Arizona. Montana is the surprise winner of the Big Sky Conference tournament. Seeded fifth in the six-team tournament, the Griz posted shutout wins over Northern Arizona, Weber State and Northern Colorado to claim an automatic berth in the NCAAs. Montana is 7-8-6 overall, including a 3-1 loss at WSU on Sept. 14. In that match, the Cougars’ Mak Gomera-Stevens scored two minutes into the match. Last year the Cougars made the most of an at-large selection by reaching the Sweet 16. WSU bear eighth-ranked Central Florida in the opening round and No. 20 Tennessee on penalty kicks before falling in overtime at 16th-ranked Florida. Published: Nov. 5, 2018, 8:06 p.m.